Meringues are that almost etherial confection that can either come out beautifully or end in frustration for many a baker. On top of a pie, as a base or crust, or in bite-sized form, in actuality, they’re easy and fun to make. They can make a dessert look elegant or festive. 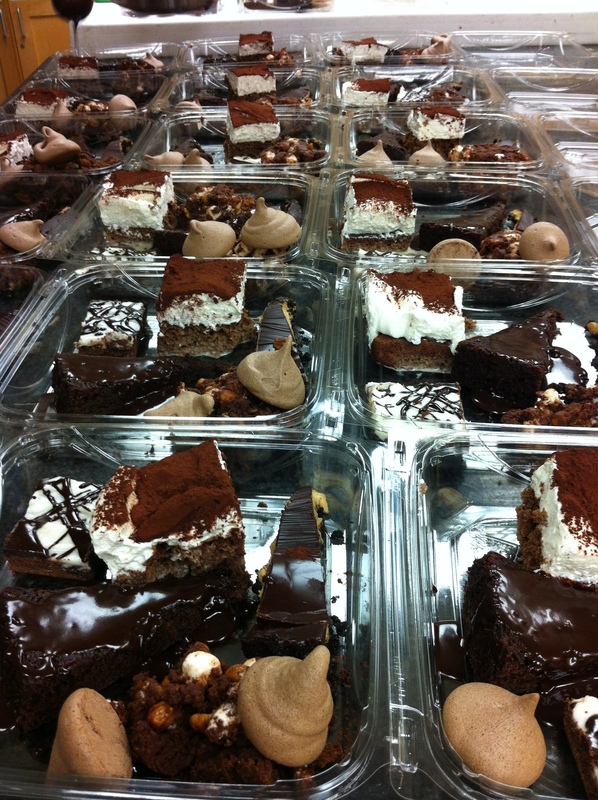 And mostly, especially for those of us with a sweet tooth, delicious. There are three basic types of meringue: Italian, French, and Swiss. French Meringue is the most commonly used meringue in home kitchens. It consists of either granulated or powdered sugar slowly added to egg whites and beaten until stiff. 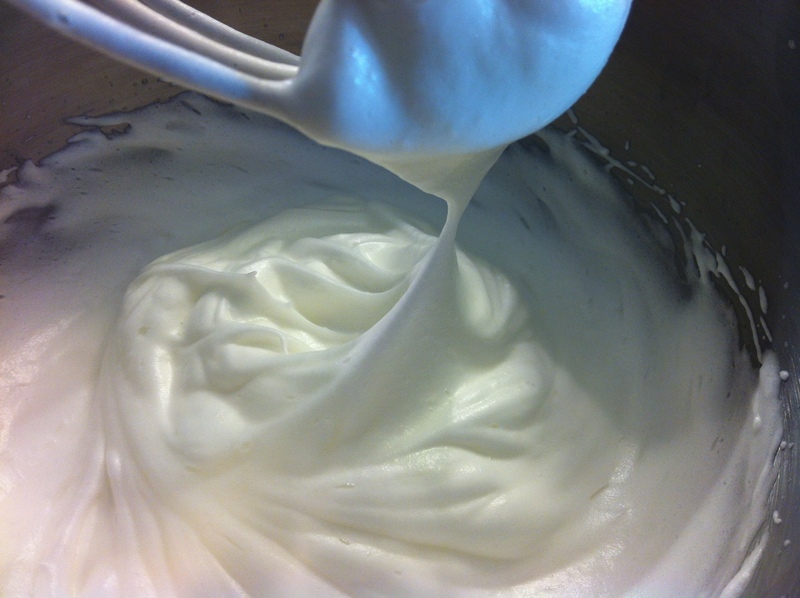 Swiss Meringue consists of the egg whites beaten over a bain-marie or a very slow simmering double boiler to warm the egg whites and sugar together. Whisk until the sugar is dissolved and the egg whites are warm. The whites are then removed from the heat and beaten until they have a dense, marshmallow-like consistency. The history of the meringue is a bit of a murky one. The first known reference to meringues is found in Francois Massialot’s 1692 cookbook, Nouvelle instruction pour les confitures, les liqueurs et les fruits (Instruction for new jams and fruit liqueurs). 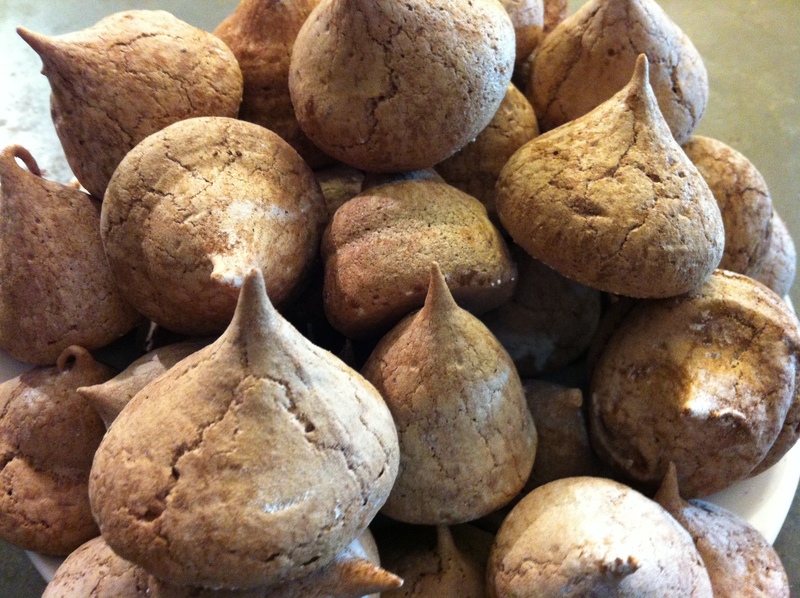 The first reference to meringues in England is from 1706 in a translation of Massialot’s book. Two earlier 17th Century English recipe books give instructions for confections that are recognizable as meringue, though called “white biskit bread” in the book of recipes started in 1604 by Lady Elinor Fettiplace of Appleton in Berkshire (now in Oxfordshire), and called “pets” in the manuscript of collected recipes written by Lady Rachel Fane of Kent. Slowly baked meringues are still referred to as “pets” (meaning farts in French) in the Loire region of France due to their light and fluffy texture. 1. Make sure your eggs are separated properly. The egg whites must be free of yolk. Even a small amount of fat in egg whites will prevent them from reaching their full volume and may cause them to collapse. 2. Make sure your egg whites are at room temperature. This allows the proteins of the whites to relax and loosen. The volume of the egg whites is not only contingent on no fat, but also the breakdown of hydrogen bonds in the protein. A warmer temperature helps to create this. 3. Make sure the utensils you use are clean, free of any fat (including any oily residue), and room temperature. Avoid using plastic bowls or utensils; they tend to hold on to oils. 4. Do not overbeat the whites. You’ll know you’ve done this if the whites begin to separate, look dry, and you see liquid (albumen) pooling at the bottom of the bowl. There are supposedly methods for saving the whites, but I’ve never found one that works. Just start over. 5. When adding the sugar (or any dry ingredients), it has to be done slowly and gradually. 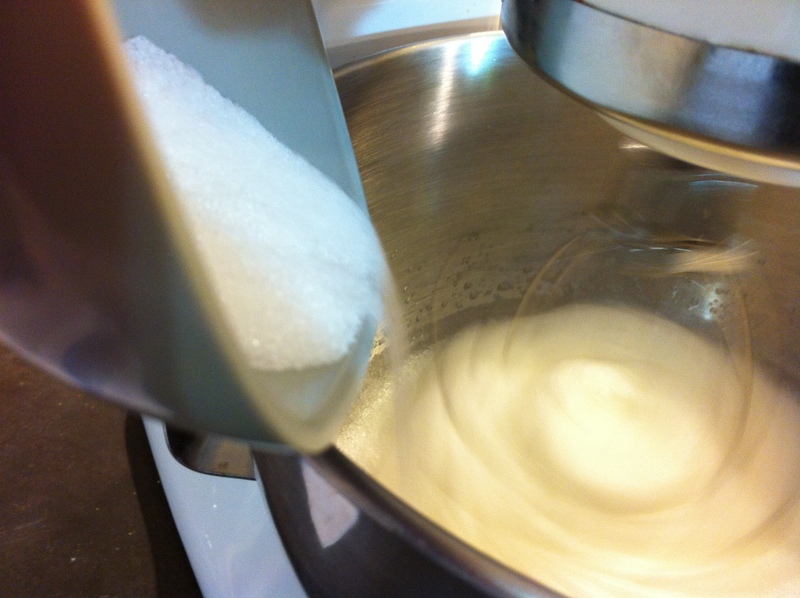 If you add all of the sugar at once, it won’t dissolve properly and the egg whites and will attract moisture. 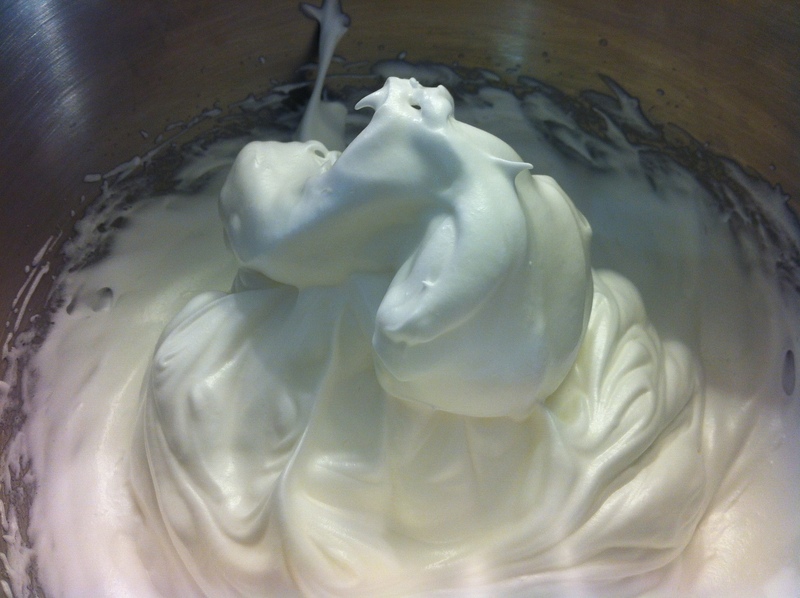 Moisture is the ruination of a meringue. A note about the cocoa powder: M. Herme uses exclusively the Valrhona Dutch-processed cocoa powder. He calls for it in this recipe. I did use the Dutch-processed cocoa (what I have at home is Hershey’s) and I like it; in fact, I prefer it. Dutch-processed cocoa is readily available, but, if you have natural cocoa powder, you should be fine. Natural Cocoa Powder is made with all of the cocoa butter is removed from the cocoa liquor leaving a dry cake that is then ground down to a fine powder that’s bitter and acidic. Its natural acidity is used to help activate baking soda in recipes. It’s only used in cooked or baked desserts. Dutch Process Cocoa Powder is natural powder that’s been treated with a small amount of alkaline to reduce the cocoa’s natural acidity. The process makes the powder darker and gives it a more mellow flavor. Lotsa chocolate. My most recent class at Central Market. This recipe is based on a recipe from the great book Chocolate Desserts by Pierre Herme by Dorie Greenspan (Little, Brown; 2001). While it is a wonderful recipe, I did make a couple of changes. 1. 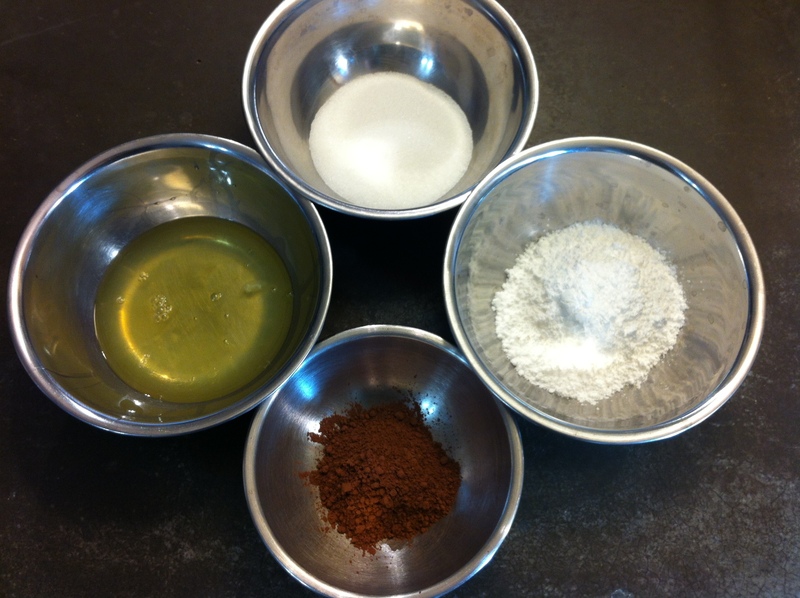 M. Herme calls for Valrhona cocoa powder. While I like Valrhona and use it occasionally, it is expensive ($13.99/lb. at Central Market). Plus, not it’s not available to everyone. You can use any type of Dutch-process cocoa you like in this recipe. 2. He does have a step in his original recipe saying to dust the raw meringues with powdered sugar and cocoa before putting in the oven to dry. I did that. I found it to be an unnecessary step. 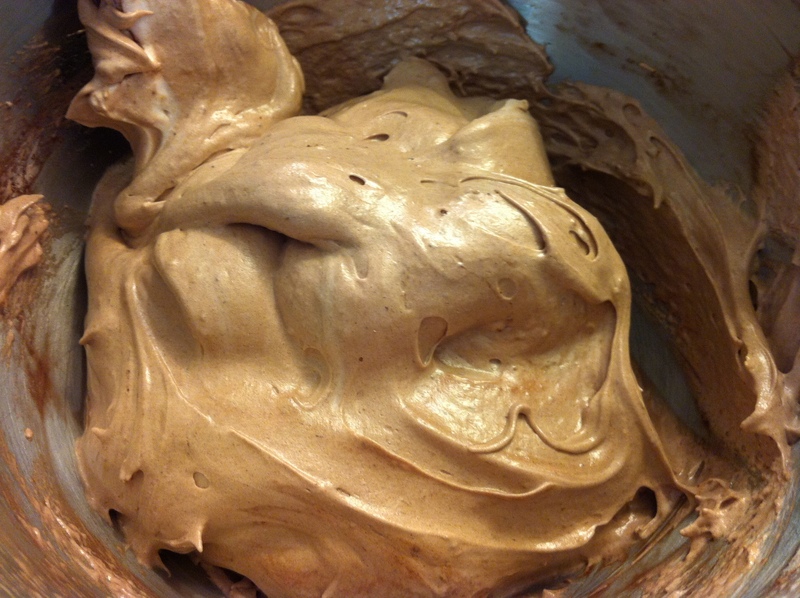 When I took my meringues out of the oven, I had to take a soft pastry brush and brush off the excess sugar and cocoa. So, I left it out of the recipe I’m showing you. 3. His original recipe doesn’t include cream of tartar. I added it because it helps to add to the stability of the whites and helps to produce a stiffer peak. 7 tbsp. 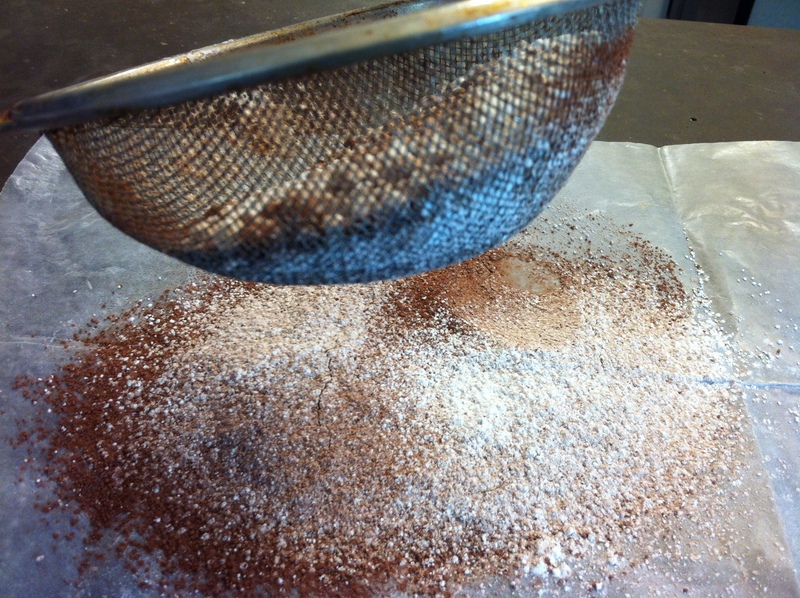 granulated sugar, separated into 2 ea. 3-1/2 tbsp. 2. Sift together the powdered sugar and cocoa and set aside. Sifting the sugar and the cocoa. 3. 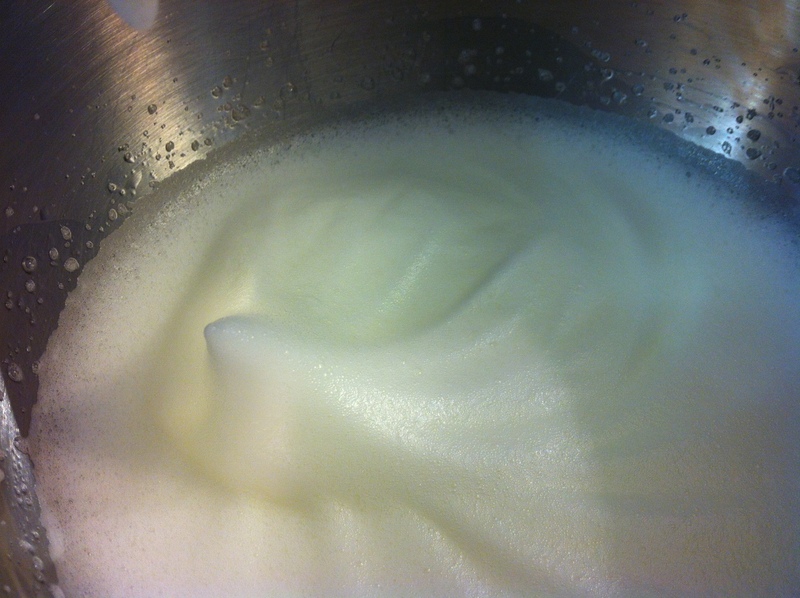 In a clean, dry mixer bowl with a clean, dry whisk attachment in place, whip the egg whites on high speed until they form soft peaks. Egg whites and cream of tartar ready for whipping. Still whipping on high, gradually add the first half of the granulated sugar.and continue to beat until the whites are glossy and form stiff peaks. 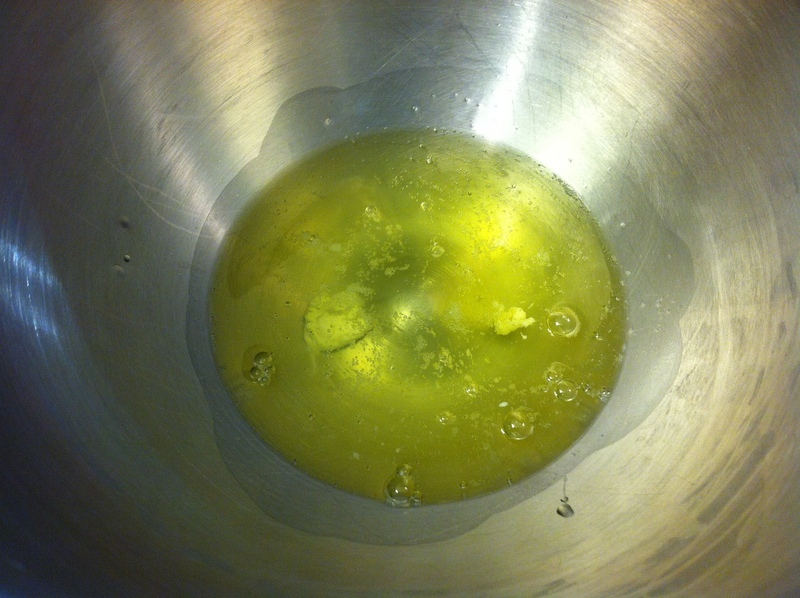 The egg whites at stiff peak stage after adding the first half of the sugar. 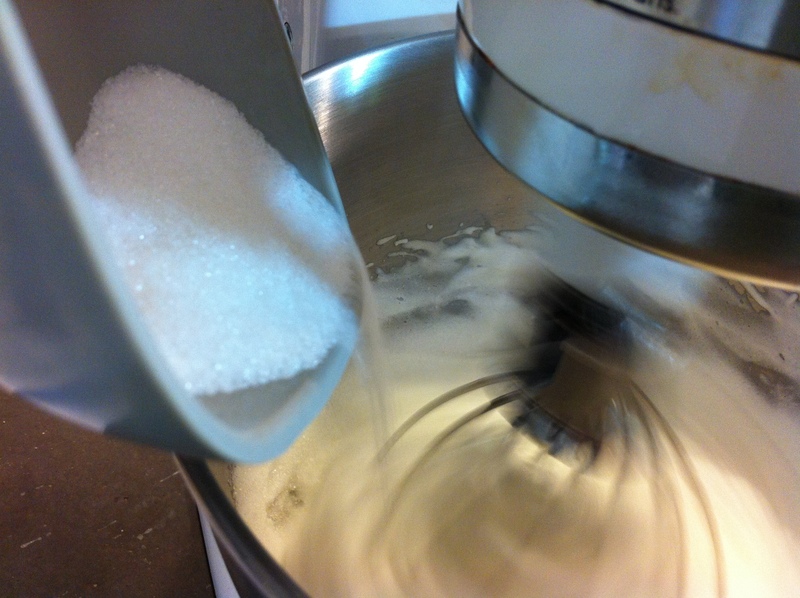 Reduce the mixer speed to medium-low and gradually beat in the remaining half of the granulated sugar. 4. 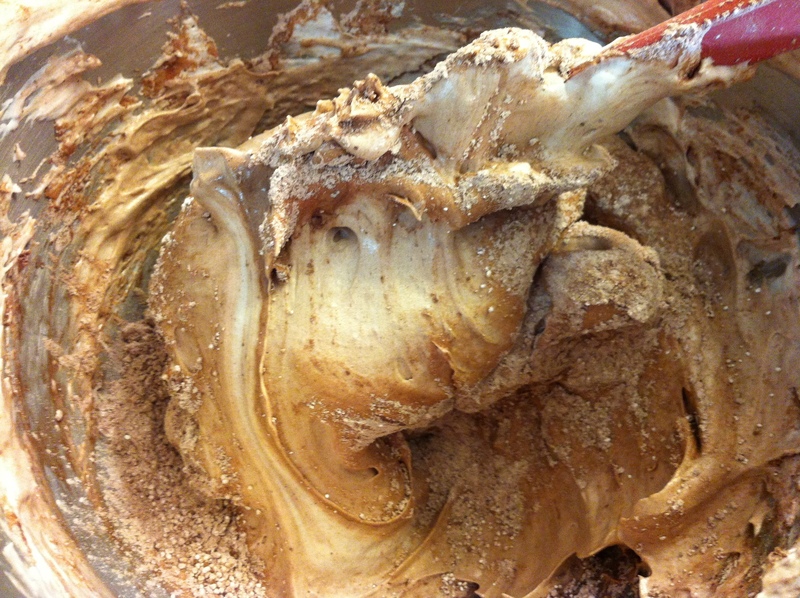 Remove the bowl from the mixer and, working with a large rubber spatula, gradually fold in the sifted powdered sugar and cocoa mixture. I like to sift the dry ingredients on top of the egg whites before I begin to fold. Makes for a more even mixture. Folding the powdered sugar/cocoa mix into the egg whites. Work quickly but delicately, and don’t be discouraged when your beautifully airy meringue deflates a little; it’s inevitable. Ready for the piping bag. 5. 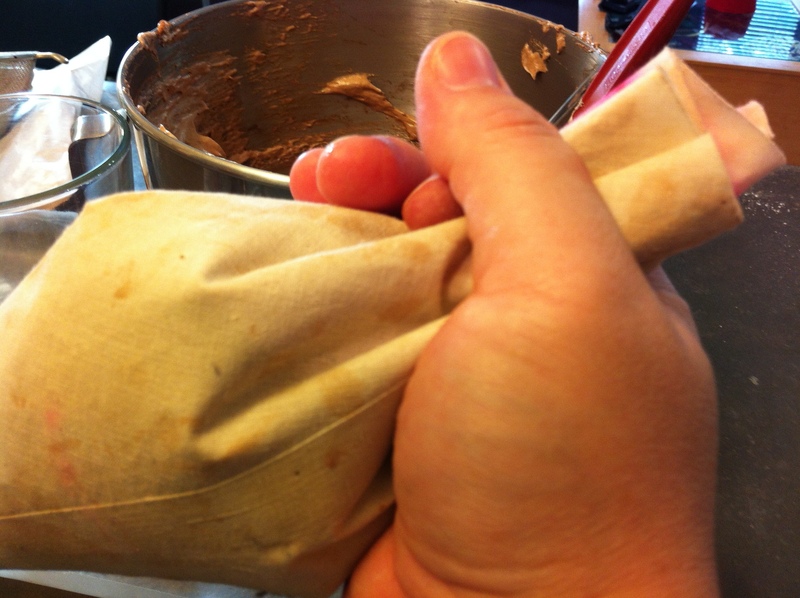 Working with half the batter at a time, gently spoon half the batter into the pastry bag. 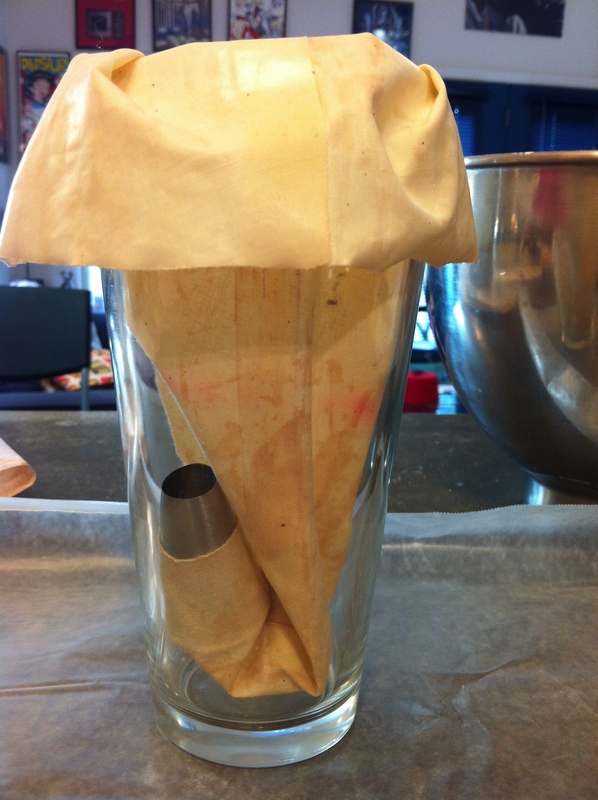 A trick to more neatly fill a pastry bag: Take a large glass, either twist or bend the tip of the bag, and place the bag into and over the glass as shown. Take the spatula and fill the pastry bag about 1/2 – 2/3 full. 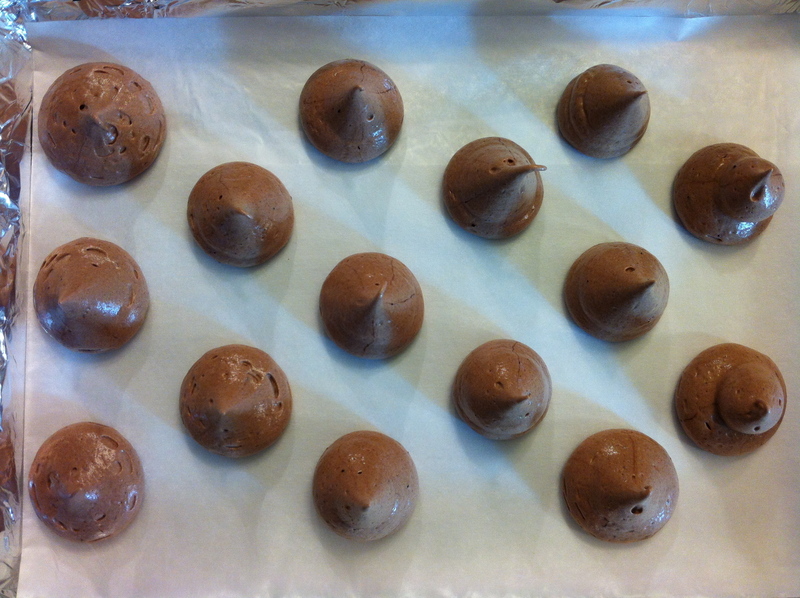 Pipe out rounds roughly 1-1/2″ – 2″ in diameter, finishing with a peak in the center onto the baking sheets (they should look like giant chocolate kisses). Twist or fold over the top of the pastry bag and gently work the batter down to the tip. Be sure to work from the top of the bag down. Don’t squeeze in the center. 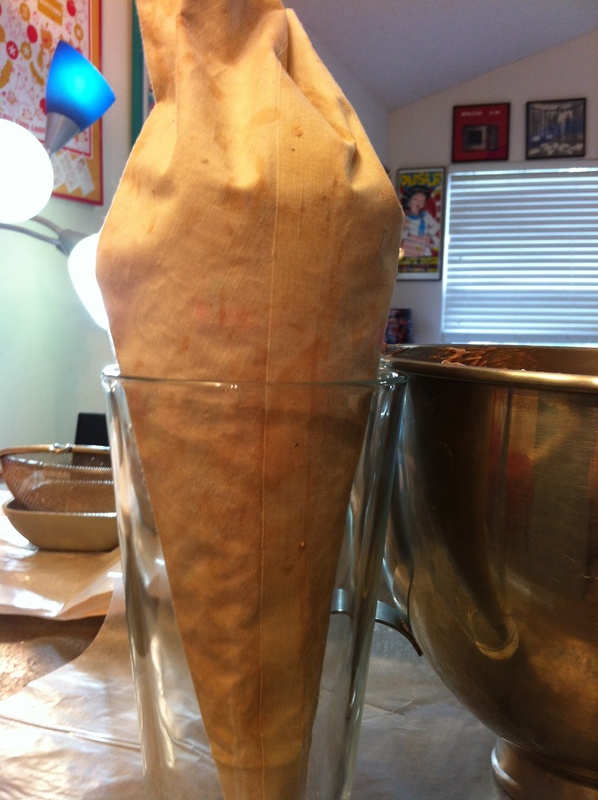 Use your dominant hand to squeeze from the top, continuing to twist or fold the bag as you go. Your non-dominant hand is for guiding and lifting the bag only. 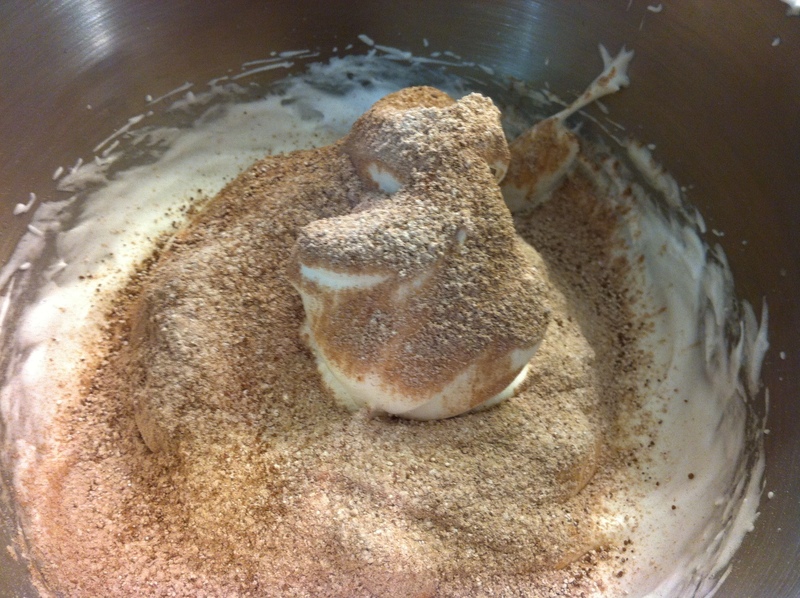 Piping the meringues onto the baking sheet. Not perfect. But, hey, they’re homemade. 6. Place the baking sheets in the oven and insert a handle of a wooden spoon into the door to keep it slightly ajar (this helps cut down on moisture in the oven). Bake the puffs for 1 hour, rotate the sheet pans, and bake for another hour. A sheet pan ready for the oven. 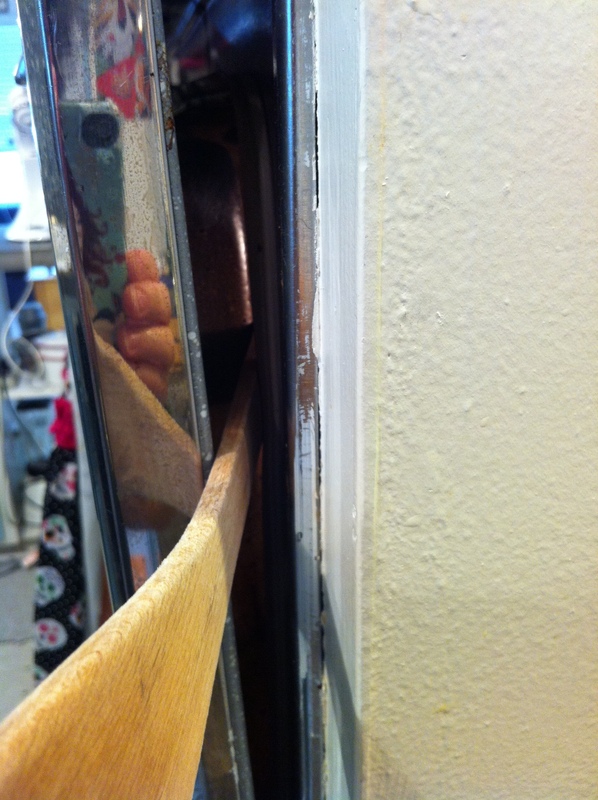 A wooden spatula in the oven door for venting. 7. After the second hour, turn off the oven, take the wooden spoon out of the door to close the oven, and continue to dry the meringues for another 2 hours, or as long as overnight. Take the meringues out of the oven and transfer, parchment and all, to racks to cool to room to room temperature. 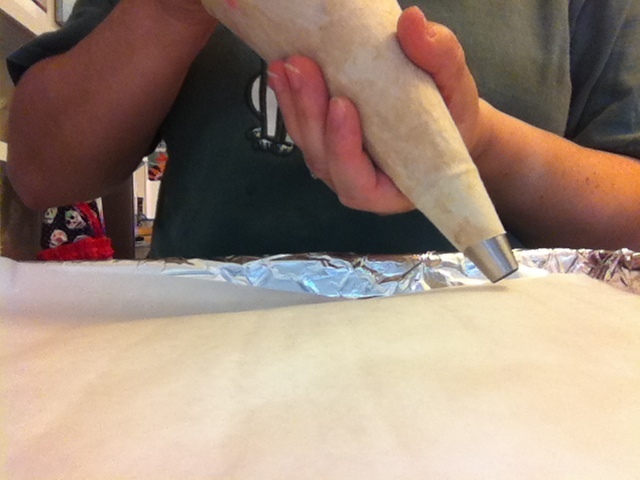 Run a thin metal spatula under the puffs to release them from the paper. 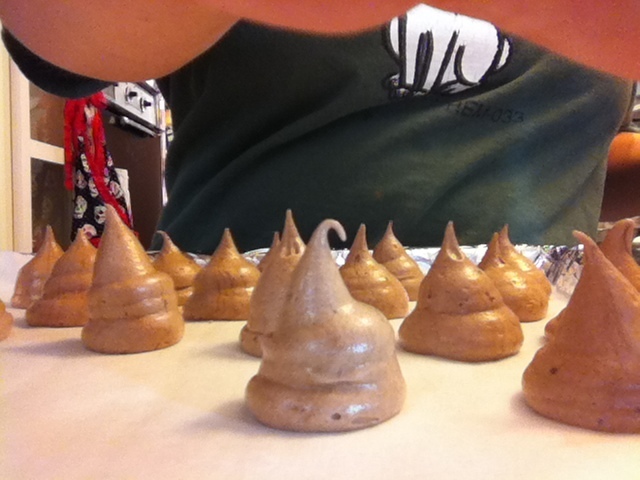 *The meringues can be kept up to one week in an airtight container.